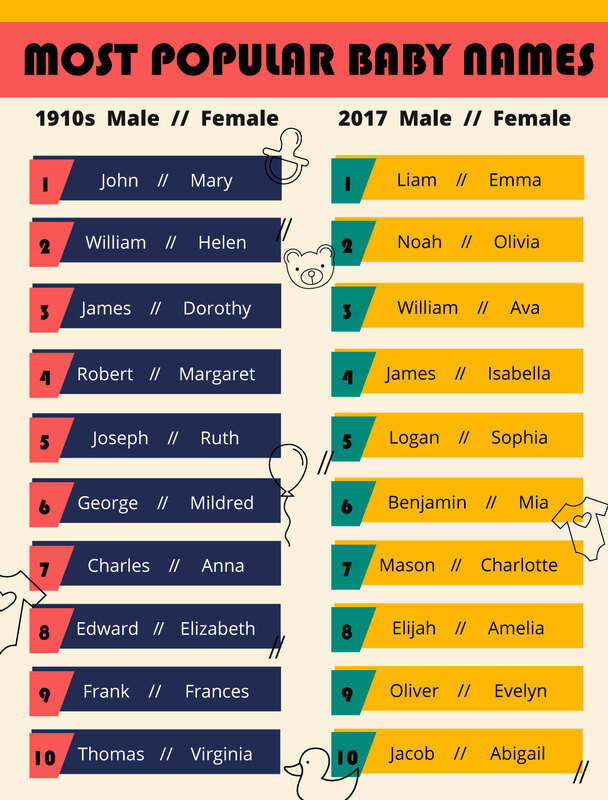 Top baby names—oh, how they change! Sept. 9, 2018—A lot can change in 100 years—especially when it comes to what's trendy in baby names. Here's a look at the 10 top picks in 2017 and the decade of the 1910s, courtesy of the Social Security Administration. You won't find many names in common—only James and William appear on both lists. But if you're searching for the perfect name for your baby, you may find some inspiration.